The Massive JEWEL Nightclub located at the great Aria Resort and Casino right on the Las Vegas Strip. 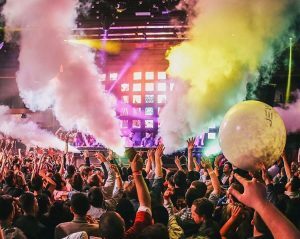 Come check out this 24,000 square foot modern luxury Nightclub hosting world-class DJs and performer all year. JEWEL Nightclub offers an unprecedented experience of clear views and close proximity to all the action. Vantage points in every direction mean that you can always see, and be seen. Las Vegas Club Guest Lists rarely exist unless you know someone. 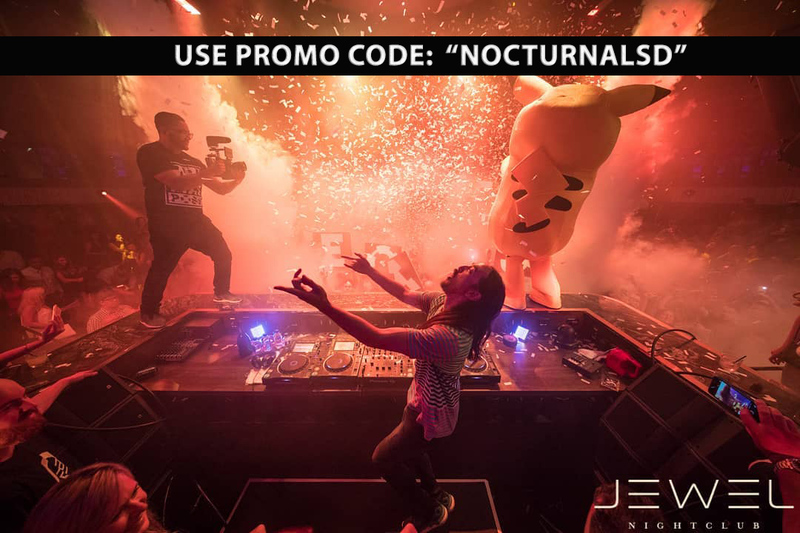 Let us help and say you know us by using JEWEL Nightclub Discount Code “NOCTURNALSD” for your general admission Tickets, Discount Presale Tickets, and Discount VIP Table Bottle Services. JEWEL Nightclub is open Friday, Saturday and Monday from 10:30PM-4AM with some of the best shows and music talent. With amazing LED light setups and Newest Sound Technology, every night is the best night at JEWEL Nightclub. Reserve your Discount Passes for any night on JEWEL Nightclub Event Calendar HERE! Offering Five themed VIP suites with custom amenities circle the mezzanine for more intimate gatherings. Get your Discount on JEWEL Nightclub VIP Bottle Table Service for any weekly event HERE! 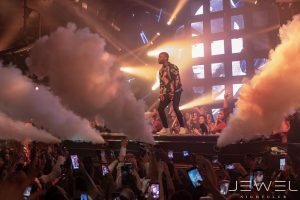 Aria Resort and Casino offers a certain higher class and expectation and Jewel Nightclub is no different. Check out top Artists and DJs like DJ Drama, DJ Shift, E-Rock, FAED, IRIE, Justin Credible, Lil Jon, Lil Uzi Vert, Scooter & Lavelle, Steve Aoki, Tory Lanez, Tyga, and More! 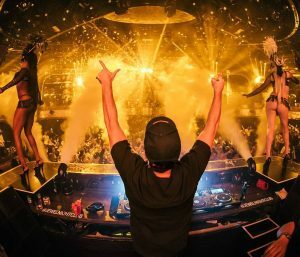 See all JEWEL Nightclub Lineup Set Times HERE! People go to Vegas for every type of celebration. Most Las Vegas Nightclubs offer Discount packages for Birthdays, Bachelorette Parties, and Bachelor Parties. 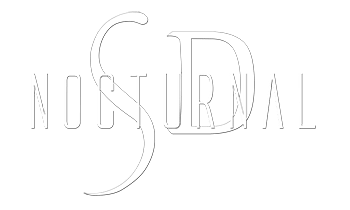 Plan your next Vegas Party and use Discount Code “NOCTURNALSD”.